The field of laparoscopic colorectal surgery is squarely in the middle of the great technological changes that are occurring in surgery. 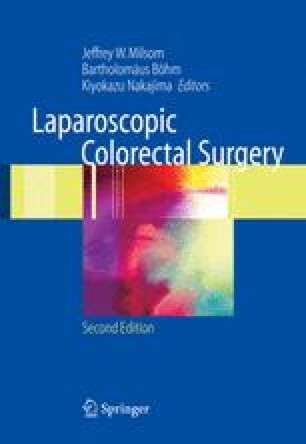 The complexity of laparoscopic colorectal procedures has made it necessary to proceed slowly over the first decade, but now many new tools are emerging that are going to improve on the efficiencies and outcomes of patients requiring laparoscopic treatment of their colorectal diseases. We have reviewed some of the important changes occurring, albeit briefly, which are now upon us, and have also made some predictions. The operating room of the future will be a highly complex environment, filled with tools that will change the outcomes of patients in a dramatically positive way. The potential for improvements will depend on the cooperation of surgeons and the surgical industries to continue to innovate and work together.